If you have you ever envisioned yourself soaring like a bird high above a tropical paradise, a Smathers Beach Parasailing adventure can make your fantasy come true. Sunset Watersports' aerial adventure turns dreams into reality. Highlights include awe-inspiring views of the Florida Keys, smooth takeoffs and landings and the opportunity to purchase a commemorative digital photo or t-shirt. 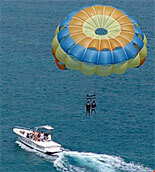 Safe and exciting, the parasailing adventure can be experienced singularly or in tandem. 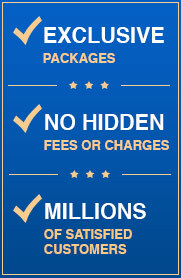 The Sunset Watersports' captains are licensed by the U.S. Coast Guard. Sunset Watersports' captains are U.S. Coast Guard licensed. 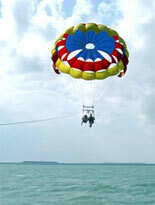 Experience the thrill of floating high above the Atlantic Ocean off the coast of Key West. 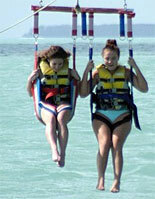 Let a Sunset Watersports aerial adventure create a memory that will last a lifetime. 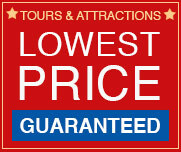 You can experience the aerial tour by yourself or in tandem with a friend or family member. Located on beautiful Smathers Beach, parasailing tours take place every day from 9 a.m. until 6 p.m. You will receive instructions and parasailing tips from friendly, Coast Guard-certified instructors as you gear up for your flight. Guests will then board a custom-made speedboat to begin their adventure. The experienced crew will secure you in a harness, which is firmly tethered to the boat, and then launch you gently into the air. Relax and enjoy the marvelous view of the translucent water below while the Sunset Watersports crew does all the work. If you want, the crew can bring you down so you can dip your toes in the water before once again soaring high above the waves. Landing is as easy and gentle as the takeoff. After your airborne tour, feel free to purchase a commemorative photo or t-shirt of your adventure and relax on the warm sand of the popular and beautiful Smathers Beach. Let the Sunset Watersports team help you to spread your wings and soar high above the tropical paradise of Key West with a Smathers Beach Parasailing aerial adventure. S. Roosevelt Blvd and Bertha Street. There is free beach parking near the Bertha Street location.